Disciples of the riff. That is the core element, the engine that drives UK-based Heavy Prog outfit Kylver and their latest instrumental concept album The Island. Most Prog-leaning bands tend toward adornment, artfully layering as many elements as possible into a complex tapestry. Kylver has taken the opposite tack; they’ve focused in on the key elements, keeping their sound pure and organically simple. The direct power of their attack is a refreshing respite from the overt complexity of many of their peers. This approach takes conviction, stripping your sound down to the bare essence requires having a rock-solid foundation and the right kind of attitude to sell it. Kylver manages this task effortlessly. Kylver came to my attention last year with the wonderfully punchy The Mountain Ghost, one of the best instrumental Heavy Prog albums I have heard in awhile. The simple combination of heavy guitars and atmospheric organ created a cinematic experience, a metal album more concerned with mood than aggression. It was the type of album that invites the listener to take a journey, to use the album as a soundtrack for wherever their imagination takes them. More than simply window-dressing, the story informs the arrangements throughout the piece. The opening track The Great Storm of 1703 conjures up the rolling intensity of a seagoing voyage. The chugging groove of the opening section mimics a giant ship cutting through the waves; it sounds defiant, powerful and purposeful. The mood darkens as the great storm takes hold; the stabbing riffs and double-bass capture the chaos of being powerless against the fury of nature. Once the storm subsides a calm, ethereal mood takes hold. The metallic intensity of the opening giving way to a hypnotic space-rock groove, the sonic backdrop for our lone survivor floating amongst the wreckage. A propulsive bass riff enters and ushers in the final section, a vortex of galloping guitars and Leslie-drenched Hammond organ that keeps building in intensity as the cycle repeats. It’s dramatic music, with or without the back-story. 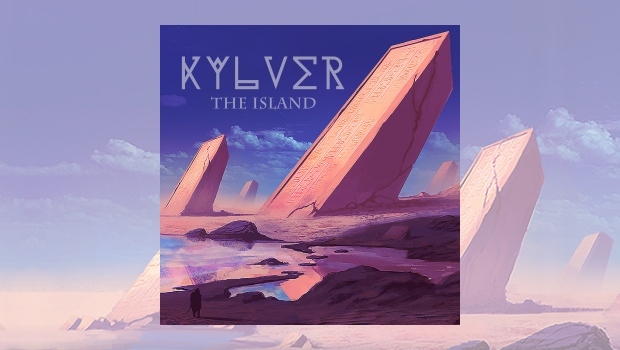 Kylver’s sound is a well-rounded exploration of many of the developments in heavy, progressive music over the past 40+ years. Instead of going thoroughly modern or thoroughly retro they combine the character and instrumental sounds of myriad eras together. The guitars have that angular bite associated with modern metal acts like Mastodon or Baroness (listen to the first single Hy-Brasil) while retaining a warmer, analogue quality. By contrast organist Neil Elliott keeps things predominately old-school with his very expressive sonic choices. Usually when Prog Metal bands employ organ sounds they don’t look much further than Deep Purple or Uriah Heep, keeping things over-driven and intense. Neil paints with a much broader, more psychedelic palette. His keyboard contributions have the dramatic flair required to add variety and experimentation into this firmly riff-based guitar music. As Kylver also primarily eschews traditional soloing it puts greater importance on atmosphere, tone and mood; the band responds by creating wide-screen vistas of sound, using only the sparsest of ingredients. It would be too easy to simply label Kylver as “post-rock” or “prog-metal” or “stoner/doom” or whatever sub-category is popular this week. In reality there are elements of all these things, but the whole is more substantial than those unimaginative designations allude to. This is ballsy, expressive stuff; hypnotic and powerful. The Island is a voyage worth taking.